We&apos;re in Belfast for a pre-festival season party and we&apos;re joined by Belfast&apos;s finest - Pete Brady and DJ Sarge. We're in Belfast for a pre-festival season party and we're joined by Belfast's finest - Pete Brady ( Superfly Funk & Soul Club Belfast ) and DJ Sarge. bow to the pretence often associated with the Northern Soul scene, Deptford Northern Soul Club offer something different, throwing gimmick free parties across the UK & Ireland, DNSC aims to bring together the next generation of Northern Soul lovers. Corsica Studios (London), SET (London), The Junction (Cambridge) and with a return to the Menagerie (Belfast); all before heading to Green Man Festival to play to a packed out crowd of well over 1.5k for the highly coveted After Dark slot at The Walled Garden Stage. 2019 will see the biggest year yet fo Deptford Northern Soul Club. 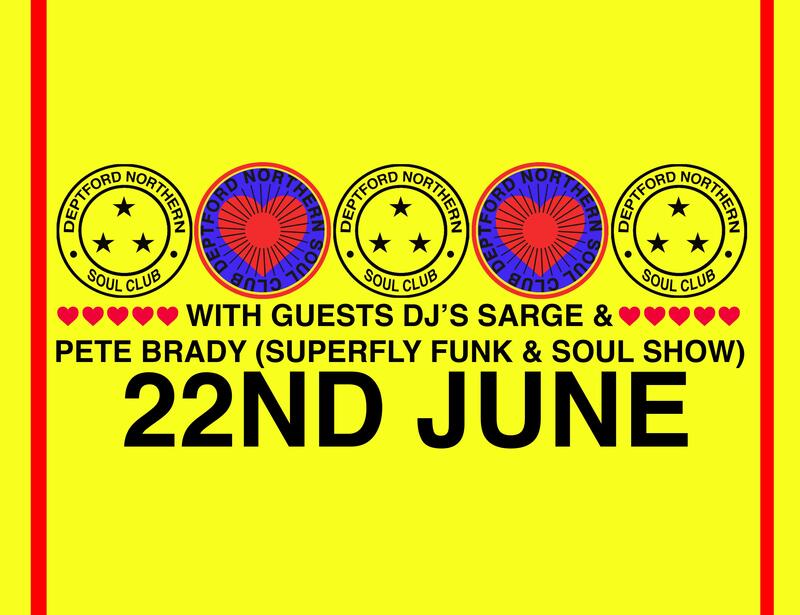 A new bi-monthly residency at the famous Brixton Jamm, a monthly residency at Manchester’s newest and coolest venue YES and regular appearances at Headrow House (Leeds), The Menagerie (Belfast) and a plethora of other bookings alongside slots at the UK’s biggest festival suggest that Northern Soul is back for good.